The trial of three men accused of murdering renowned Guarani Indian leader Marcos Veron is set to resume on Monday in S�o Paulo, Brazil. 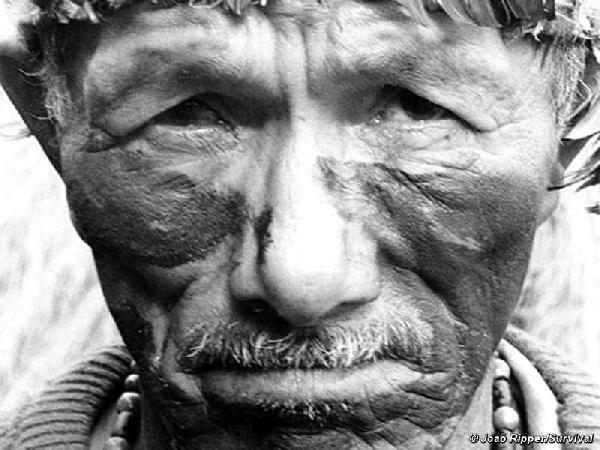 Marcos Veron, an internationally respected Guarani Kaiow� leader, was beaten to death in 2003 by gunmen working for a local rancher, after he led his community�s reoccupation of their ancestral land. The defendants, Estev�o Romero, Carlos Roberto dos Santos and Jorge Cristaldo Insabralde, employees on the ranch which took the land from Veron�s community, are accused of homicide, false imprisonment, and other charges. Brazil�s Attorney General�s office, which has brought the case, has hailed it as �historic� because it is the first time that people accused of killing an Indian from Mato Grosso do Sul state are being tried by a jury. The trial was scheduled to start in April last year, but was postponed twice as the lawyer of one of the defendants allegedly began a twenty-day period of psychotherapy, and then the judge refused to hear the testimonies of the Guarani witnesses in their own language. Much of the Guarani�s land has been stolen from them to make way for ranches, and soya and sugarcane plantations. Last year, energy giant Shell entered a joint-venture agreement with biofuels company Cosan, which is buying sugarcane produced on land taken from the Guarani. Many Guarani live in appalling conditions in overcrowded reserves, and some live in make-shift camps on the sides of main roads. They suffer from alarmingly high rates of malnutrition, violence and suicide, as documented by a report sent to the UN by Survival International last year. Guarani communities, frustrated with the long wait for the authorities to map out and protect their land for them as they are required to do by law, sometimes decide to return to their ancestral land and reoccupy it, as in the case of Veron�s community. Indian leaders who head the reoccupations of their land are systematically targeted by hitmen, who are rarely brought to justice. Survival is supporting a group of Guarani to attend the trial in S�o Paulo.